Autumn has brought change to the administrative ranks of the CHILD Study. As of September 1, 2017, the Manitoba site has a new Research Coordinator, and as of September 8, 2017, CHILD Toronto has a new Site Leader. 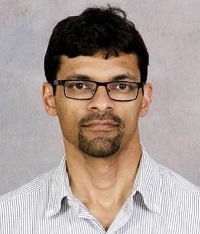 Dr. Theo Moraes has assumed the role of Site Leader in Toronto, taking over from Dr. Padmaja Subbarao, who held the post since CHILD’s commencement but who moved on to become the Study’s Director on July 1, 2017. Dr. Moraes has been heavily involved with the CHILD study from its beginning: processing all the initial Toronto CHILD samples, serving on various Working Groups, performing many of the five-year clinical assessments at the Toronto site, and currently co-leading the Biological Samples Committee with Dr. Dean Befus. A clinician-scientist, he is Staff Respirologist at The Hospital for Sick Children—where he also leads a basic science laboratory in the Peter Gilgan Centre for Research and Learning—and Assistant Professor in the Department of Paediatrics at the University of Toronto. His overall research goal is to reduce the burden of disease caused by viral inflammation in the lung, an important health concern among children. “I am very pleased that he has agreed to assume leadership of the Toronto site and I look forward to working with him on the Executive team,” comments Dr. Subbarao. Read a May 2017 interview with Dr. Moraes about his work. At CHILD’s Manitoba site, Phaedra Propp has taken over as Research Coordinator, replacing Rishma Chooniedass, who is leaving the province and relocating to Kelowna, BC, with her family. Phaedra began working with the CHILD Study as a research assistant while completing a Bachelor of Arts Honours degree in Psychology, with a particular interest in biopsychology, at the University of Winnipeg. Her honours thesis focused on communication behaviours between mothers and daughters—an expression of her ongoing interest in the connection between human behaviours/emotions and human health, particularly in women. Phaedra has found the strong emphasis on research methodology and statistics of her psychology education extremely beneficial to working in a clinical research setting like that of the CHILD Study. “I am excited to take on the role of coordinator for the Manitoba site of the CHILD Study, especially at a point of new exploration as CHILD begins to assess its participants as eight-year-olds,” says Phaedra. Rishma Chooniedass, Phaedra’s predecessor as the Manitoba site Research Coordinator, filled the role from CHILD’s inception. Her contributions have been many. Her colleagues and the families from Manitoba participating in CHILD will feel her absence strongly. “Rishma has been a stalwart team member, and linchpin of CHILD both in Manitoba and across the country,” comments Dr. Judah Denburg, AllerGen’s Scientific Director. “It has been a true pleasure working on this incredible study—a memorable journey indeed,” observed Rishma in a parting email to colleagues. You can read further reflections by Rishma on her experience with CHILD in a July 2017 blog post she authored.